Accidents and emergencies are always unpredictable. No one plans for it, but with some documents, you can always hope to do your best towards getting an immediate attention. 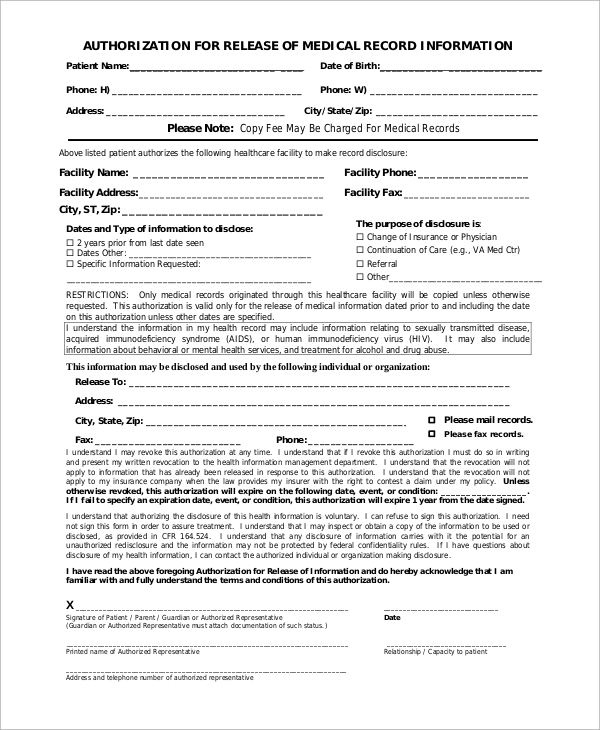 Medical release forms are means to provide conclusive information and consent for medical treatment, especially when someone (dependant) in your family requires medical attention. It could be your kid or your senior parents. 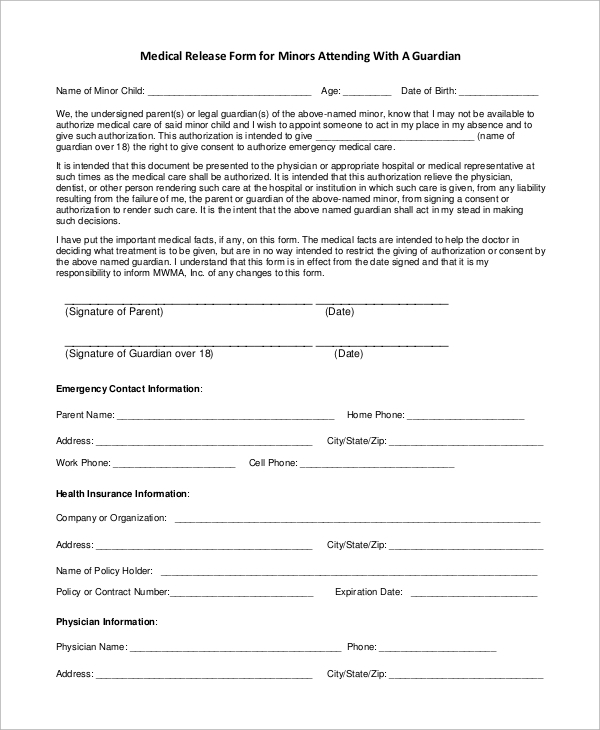 The medical release Sample Forms signed by the parent will ensure that the parent need not be present when a child is taken into a medical emergency. However, they come in several different types. 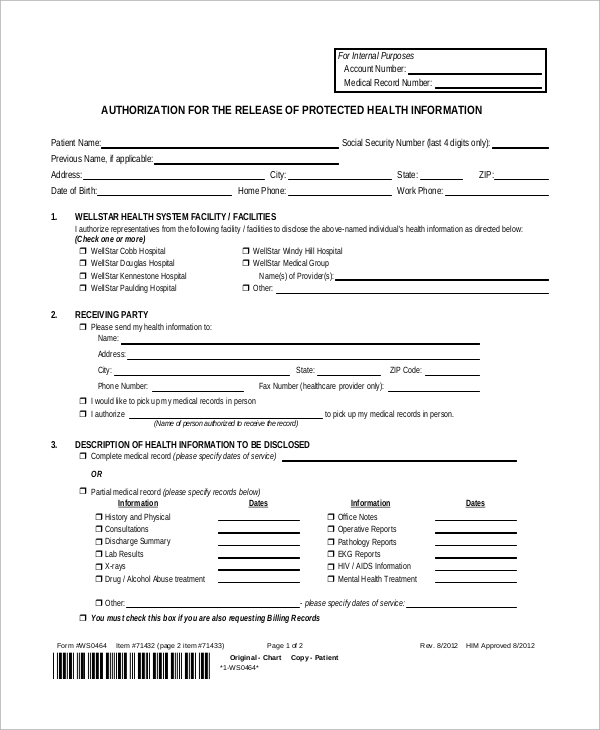 Medical records release forms are about informing the patient’s family about the health condition of the patient as he/she is released/discharged from the medical. The record is asked in social cases when the condition of the patient is to be shown to other organizations, including the court of law or administrative agencies. The patient always pre-authorizes medical record releases. For asking the medical records of a person, the authorization form has to be duly signed by the patient himself/herself. It is important as a part of the official process and also defines the right of privacy for the patient. In several cases, patients have to show their health information, especially when undergoing treatment. This might be to seek insurance benefits or to attach a proof of their condition for their workplaces and other interested departments. Consequently, the records release form needs to be carefully created, mentioning all limitations. 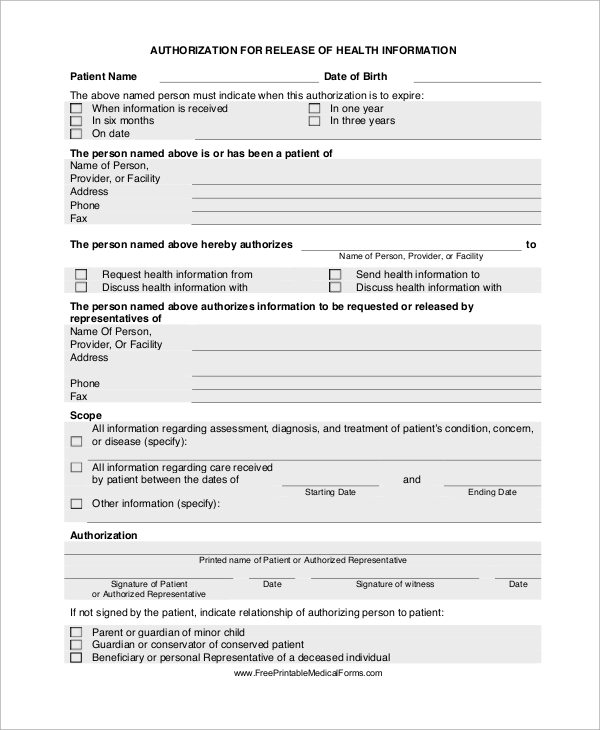 A generic medical records release form is necessary when a patient requests the hospital authorities to present all information about the patient’s health for personal and professional purposes. The generic release signed by the patient ensures that the hospital is not liable for printing out the information. In the case of the release of medical records for a minor, the medical release needs to be prepared and signed by a parent or the legal guardian. The release should contain the contact information, health insurances and the information of the physician of the child. Further, the release should offer information about any particular condition that the minor faces. 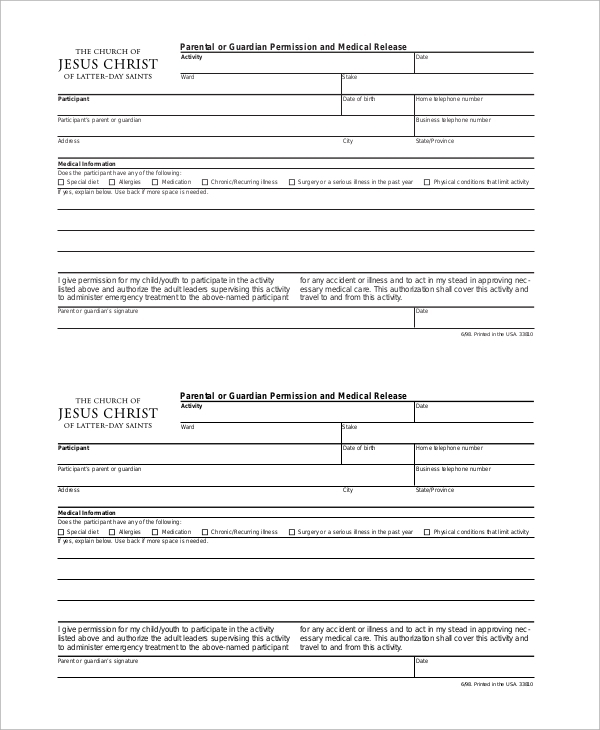 When Do You Need A Medical Release Form? 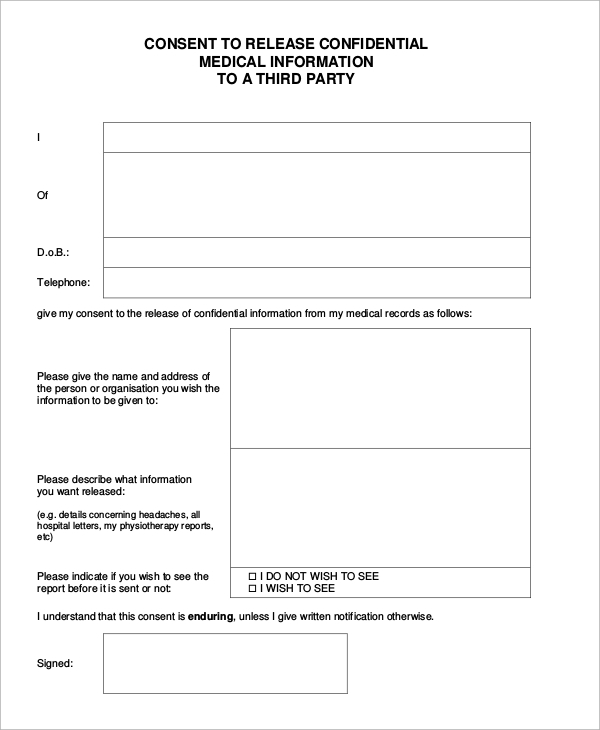 Medical release forms serve several purposes. Firstly, they give the hospital an explicit consent (in the case of a minor) for immediate medical treatment when the parent cannot be reached by phone or email. 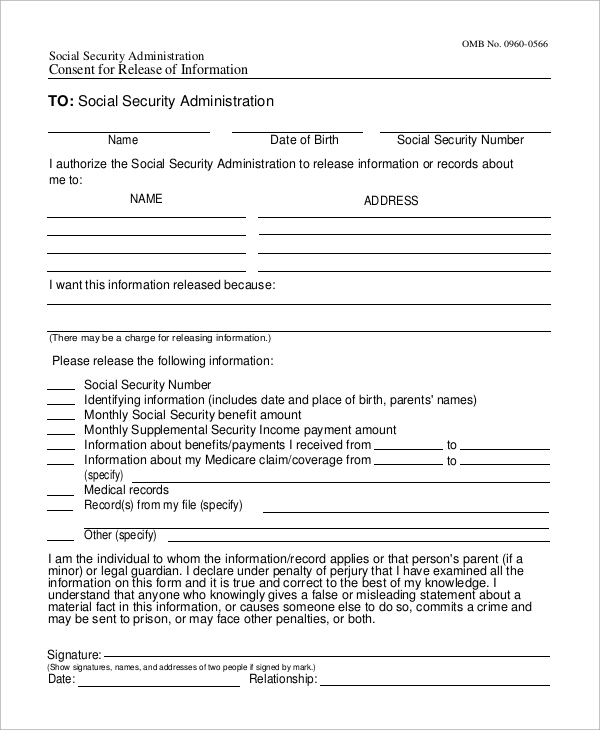 Secondly, medical records release forms are essential when you are claiming back from the health insurance agencies or are asked to show proof of medical treatment by the schools, colleges, offices and other state agencies. You can also see the Talent Release Forms. 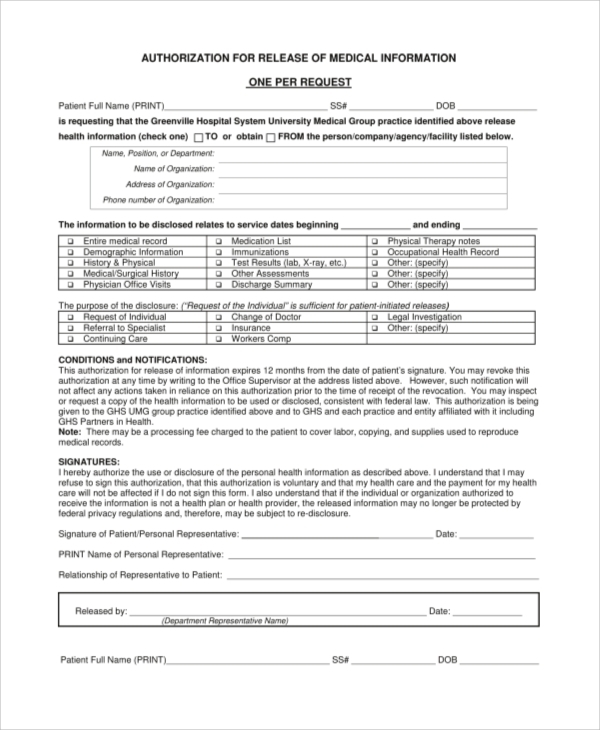 What To Include In A Medical Release Form? 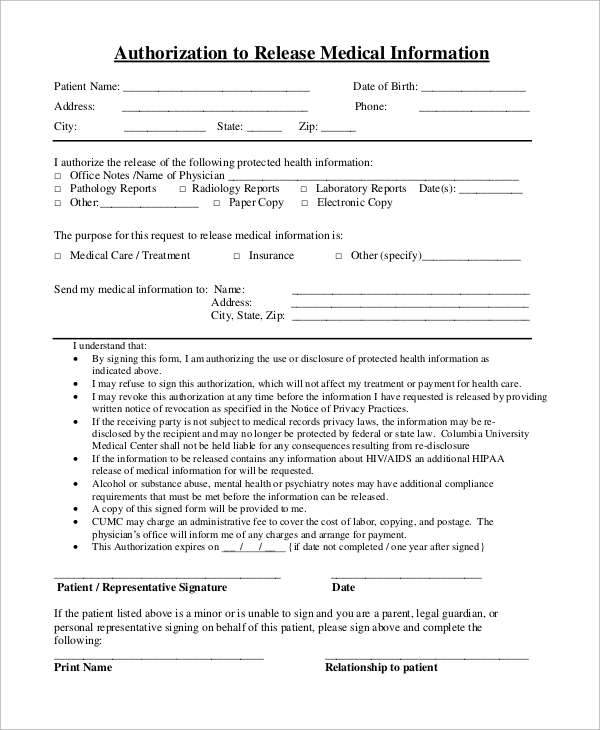 Apart from the permission of treatment and authorization of medical record release, the form should clearly state the provisions of the consent. Having a medical release form handy fastens the admission process and helps the patient get immediate attention. Medical release forms are legal documents and should thereby be created with great care. We hope that the above templates help you out in future.